Get romantic surrounded by marine creatures at this four-course feast at the aquarium. 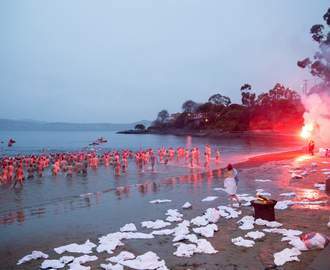 Make a splash this Valentine's Day — or watch fish, penguins and plenty of other marine creatures literally splash about. 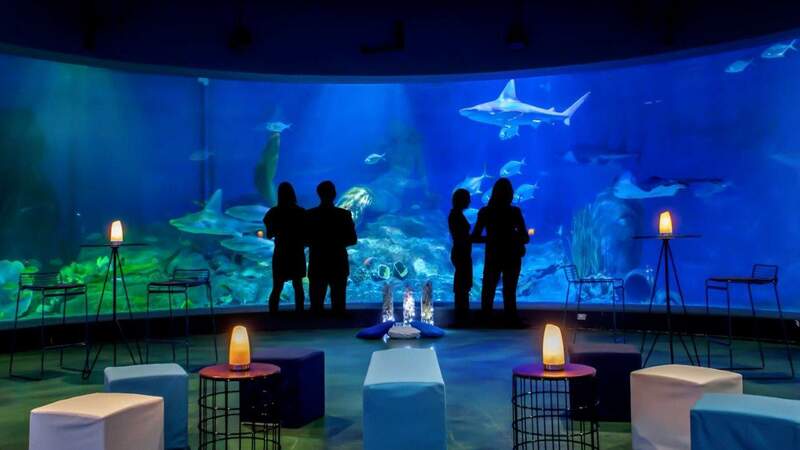 On the day that everyone has romance on their mind, Sea Life Melbourne Aquarium is hosting a luxe dinner for lovebirds who also double as lovers of marine life. Running from 7–11pm on Thursday, February 14, the Sea Life Valentine's Day Dinner combines escaping into an underwater world, a spread of food and drinks, and an intimate vibe. You can choose from one of three locations, so prepare to get cosy by the coral tank filled with vibrant tropical fish, next to the oceanarium with its shark and stingray inhabitants, or in the penguin-filled Antarctica section. Being the (supposedly) most romantic night of the year, tickets don't come cheap, ranging from $149–199. That said, if you want to serenade your date while surrounded by seahorses, they'll certainly remember it. Everyone will be tucking into a four-course dinner, plus unlimited beer, wine, sparkling, cider, soft drink, juice and mineral water.